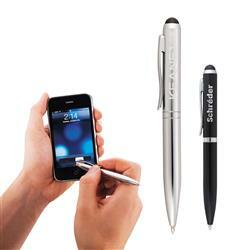 Dual function stylus ideal for iPads,iPhones, smart phones and touch screen tablets. Retractable twist action mechanism opposite rubberized stylus. Standard European blue ballpoint ink cartridge. 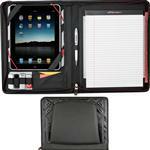 A great way to browse your tablet or smart phone with accuracy! Comes in black, white and metallic silver. FREE 1-DAY RUSH PRODUCTION AVAILABLE! Available Colors: Black and Metallic Silver. Typical Imprint Area(s): L 1.38" x H 0.2"
Available Imprint Options: Laser Engraving. Materials: Brass with 2-piece gift box. 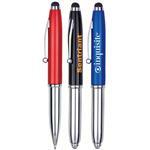 Metal Pen for laser engraving. 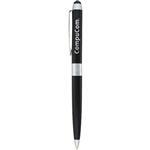 Stylus or iPad friendly pen.